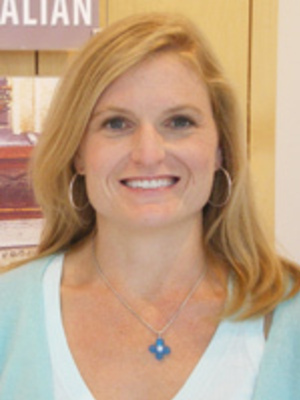 Jennifer Willging is Associate Professor at the Department of French and Italian. She specializes in 20th- and 21st-century French literature and culture with particular interests in Second World War France, postwar narrative, and contemporary French-American cultural relations. Her book, on anxiety in postwar women's writing in French (Telling Anxiety), was published by the University of Toronto Press in 2007. She has also published essays on narrative voice in Duras and Ernaux; on intertextuality in Duras, Céline, Sarraute, Sartre, and Paule Constant; and on cultural shifts in contemporary France among other topics. Tuesday 2:15pm - 3:45pm, Thursday 4:00pm - 5:15pm, and by appointment.